Your favorite DIY doom/sludge/stoner fest announces the dates for the 3rd edition! 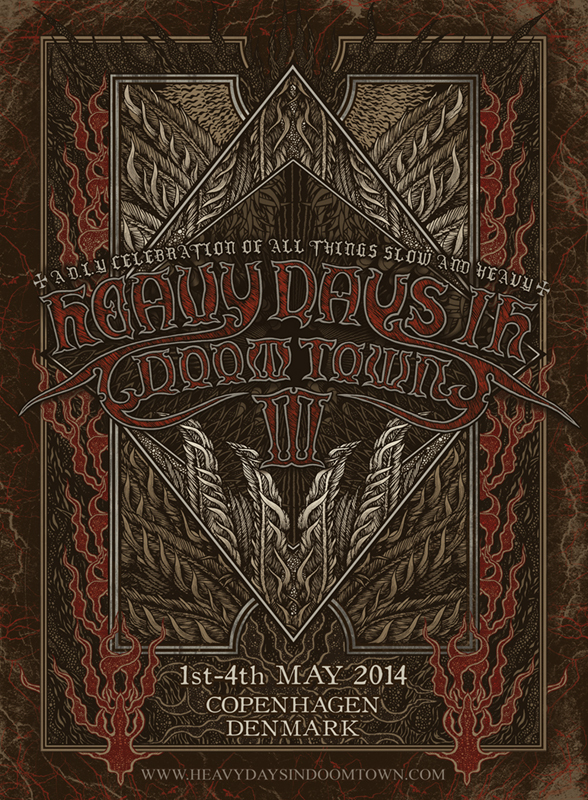 Heavy Days In Doomtown will happen again in 2014 and the dates will be 1st – 4th May! A warm-up show will take place on Thursday May 1st (Location to be announced later on). Friday 2nd – Sunday 4th May will be at Ungdomshuset, Dortheavej 61, 2450 Copenhagen NV. Bands and artists will be announced from December 1st and every day throughout all of December. Presale will start January 1st at 12pm. Tickets are limited – especially for the warm up show, so be sure to secure your ticket early on.